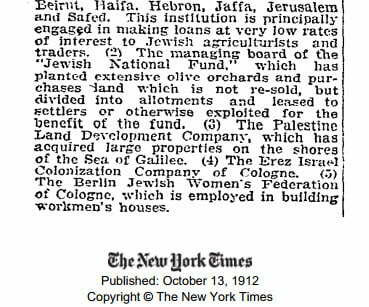 As I keep showing with this history series, there was a time when the New York Times reported honestly, and their reports from the time are very illuminating when it comes to the Arab-Israeli conflict and the competing narratives. 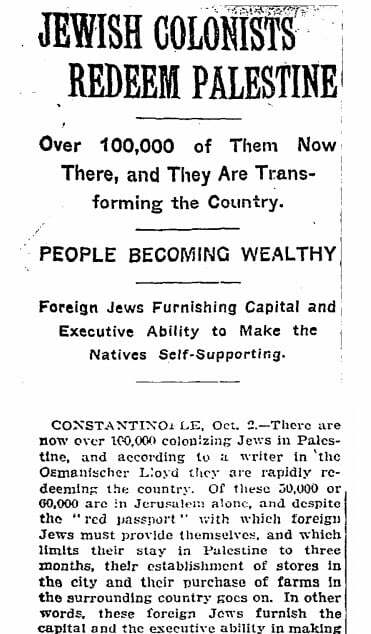 The palestinian Arabs and their allies claim the Jews came from Europe, took their land, and then expelled them, the indigenous people of the land. 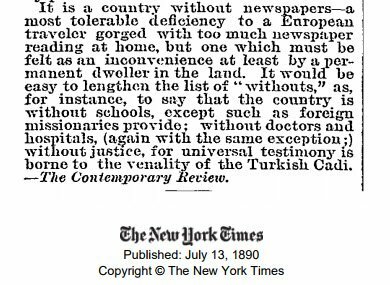 We are also led to believe that had we not come back to our homeland, life would be fine and dandy for the Arabs living here, and the we ruined their lives. 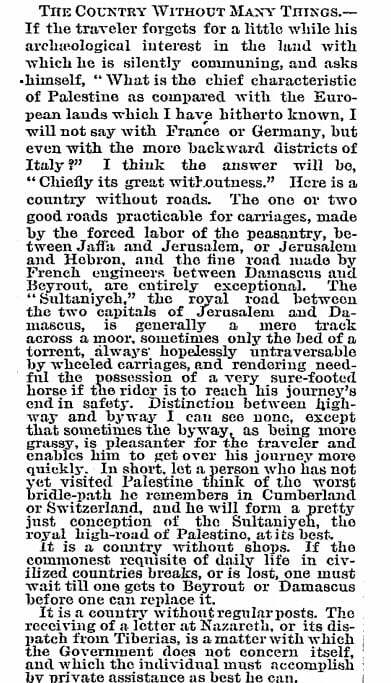 Back in July 1890, the New York Times ran this piece describing just what Palestine was like at the time. Contrast with this New York Times piece 22 years later. It is no wonder Emira Faisal said what he did after World War I. 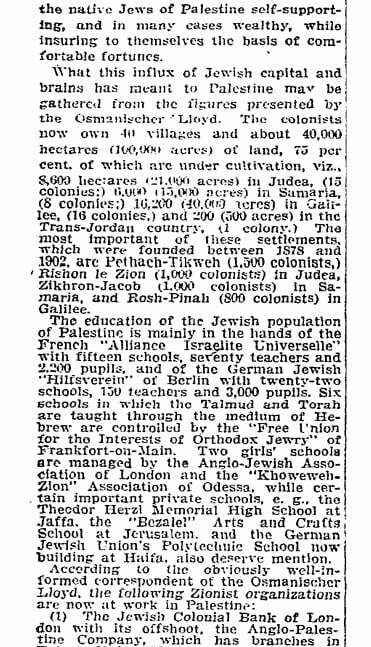 Had the Arabs accepted the Jewish presence in the land, not engaged in their attempts at mass extermination, and accepted the Partition Plan in 1947, they would have all prospered along with us.